I think dish number 22 belongs to the whole world as it has come together to run, jump, swim, shoot, row, hurdle, tumble and pummelhorse etc over the next little while. 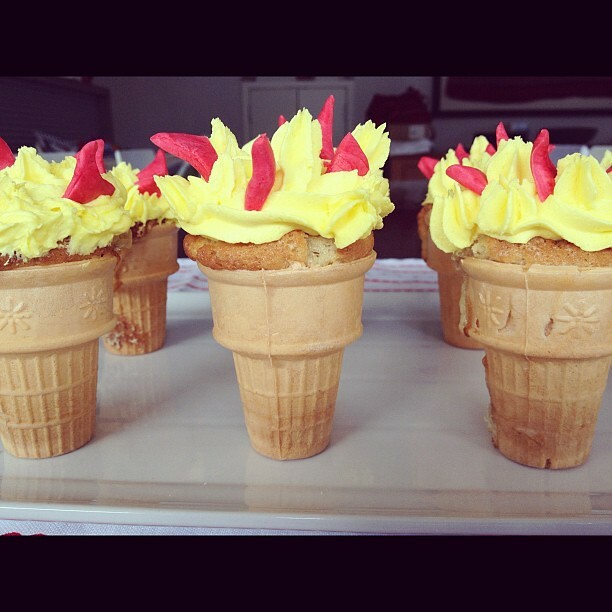 To celebrate I made something that represents this exciting time – Olympic Torch Cupcake Cones. 2. 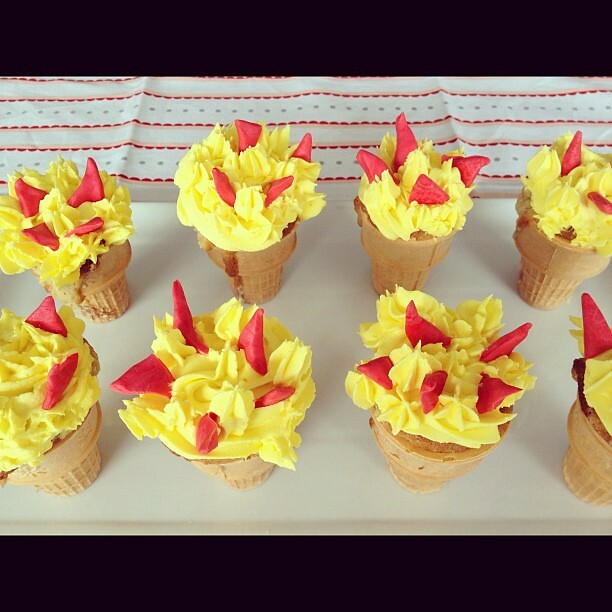 Two-thirds fill the ice-cream cones with cupcake mix, and bake for 20 minutes at 180 degrees celcius. 4. Pipe the icing on, I used a 1M tip. 5. Cut small triangle shapes from the red fondant and insert into the icing. Yum! The kids thought they were awesome and they taste pretty good too.